A healthcare organization’s success lies in its employee’s ability to take great care of its patients. With patient experience becoming a top priority, all elements of a healthcare organization need to adapt including talent acquisition and human resources. 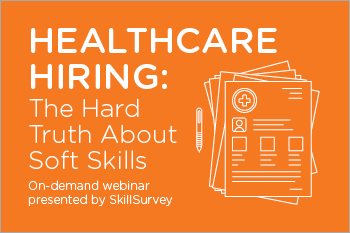 Academic and professional experience can provide an employee with a great foundation in hard skills, but lacking insight into soft skills could lead to quick turnover or a major adverse impact to patient experience.